It was a very busy weekend around here. We crammed two week's worth of fun into two days. 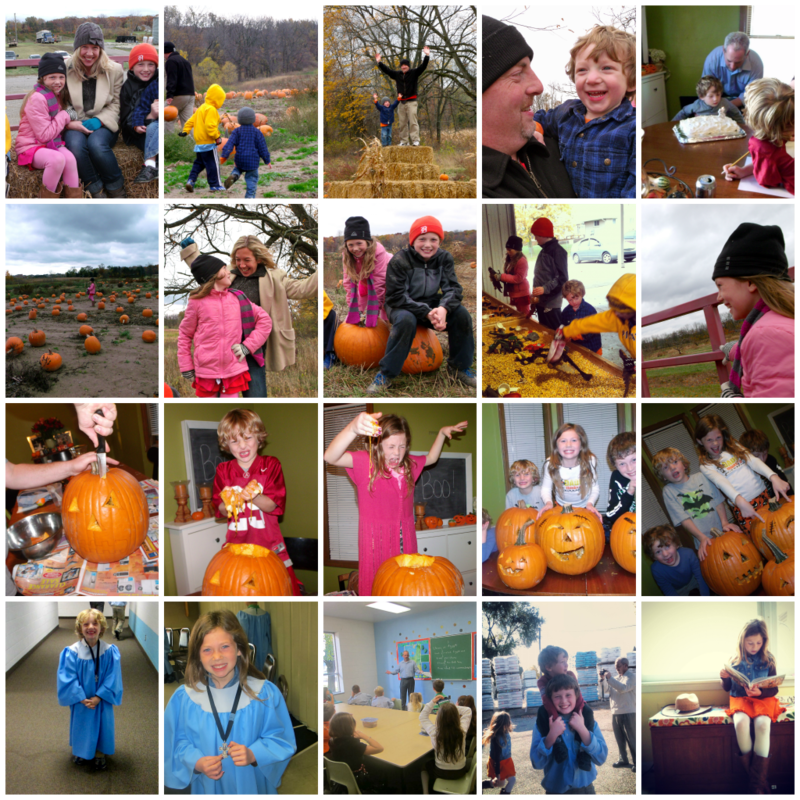 We went on tractor rides, picked pumpkins, carved pumpkins, celebrated a birthday, sang, danced, read, taught, listened, laughed, ate (a lot), visited, hosted, watched movies, read books, ate some more and took a million pictures. Not to sound like I'm a high teenager, but it needs to be said, it was epic. We crammed in all of our Fall celebrations and traditions into one weekend because my husband, Tim, is having shoulder surgery today. It's not major surgery, but in a house with a lot of kids and a lot of action, having one parent down an arm and doped up on painkillers can really put a damper on things. Hence the cramming of all things Autumn this past weekend. Lucy jumping with her fingers crossed. Love it.